Are you as ready as I am to throw on a vintage apron after seeing this colorful feast for the eyes? This charming, retro-inspired kitchen tickles my fancy with the use of old meets new. 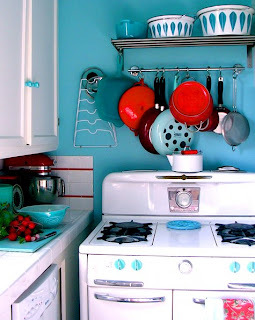 Not to mention the bold use of aqua + red = divine!